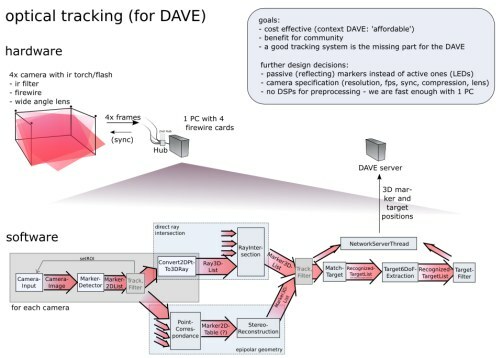 The DAVE is a 'Definitely Affordable Virtual Environment' is a C4 developped at Braunschweig, Germany / Graz, Austria. I worked on the following parts. Our own optical tracking system uses four infrared cameras with IR torches and can recognize position and orientation of 'targets' consisting of a few retroreflective markers attached to the devices to track. 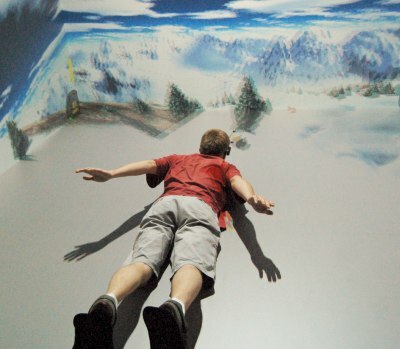 There are always a lot of great ideas coming up but it is only possible to implement few of them. Besides porting existing software (like ppracer on the photo above) to the DAVE I also started a volume painting program. 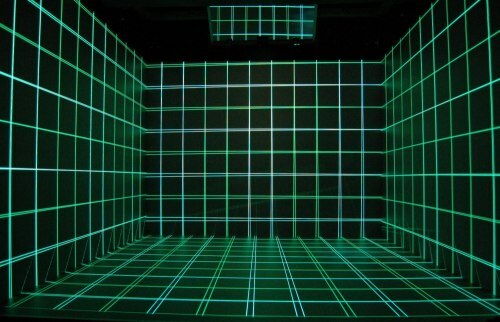 We had the idea for a novel calibration method that basically made our work calibrating the projections a lot easier. See the paper in the puplications section. 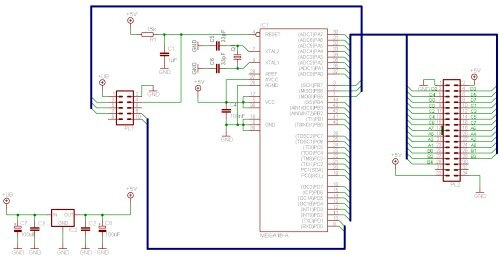 I build a general purpose IO interface using an AVR microcontroller at the serial port of the server PC for digital and analog IO. 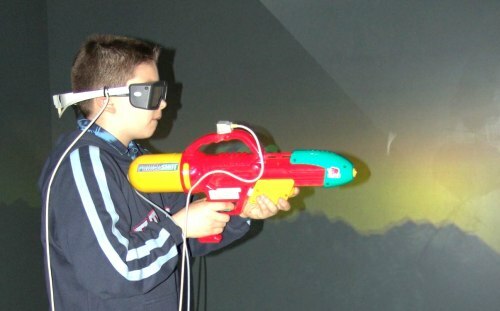 I also modified a water gun as an input device for the space shooter game 'Davender'.